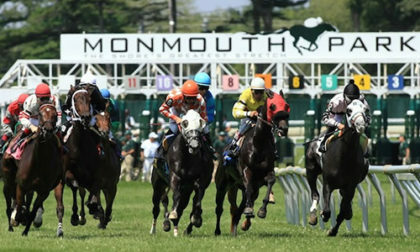 The parent company of New Jersey’s Monmouth Park Racetrack, the New Jersey Thoroughbred Horsemen’s Association (NJTHA), has filed its latest brief in its battle against five major American sports associations over years of alleged damages for not being able to offer sports betting at Monmouth Park from 2014 to 2018, when the US’s Professional and Amateur Sports Protection Act (PASPA), which banned most sports betting across the US, was ruled unconstitutional. This latest NJTHA filing is the latest salvo in Monmouth Park’s efforts to wrest not only a case-related, court-ordered $3.4 million damages bond from the sports leagues, but to also be compensated with interest and extra damages for the four years of lost business, which brings the facility’s total claims to nearly $150 million. The five sports leagues against which NJTHA / Monmouth Park has filed the claim for damages — the NFL, NBA, MLB, NHL, and NCAA — have already filed at least two briefs denying various elements of the racetrack’s wrongful-enjoinder claims, with this being the NJTHA’s second rebuttal of those claims. 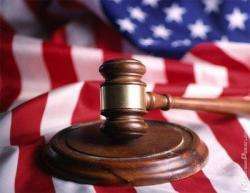 Among the more recent defenses served up by counsel for the leagues is that they bear no financial responsibility since the unconstitutional PASPA was still in effect until earlier this year, when it was dismantled by a US Supreme Court ruling. That’s all nonsense, according to the racetrack’s counsel, Ronald J. Riccio, who again accuses the leagues of “bad faith” and of collectively having made at least ten false sworn statements before the US District of New Jersey court hearing both the original “Christie II” case and this post-ruling battle for damages. Those false statements were generally attributed to the commissioners and directors of the sports associations who filed suit in 2014 to block New Jersey’s legalization plans. 1. As a matter of law, the NJTHA was wrongfully enjoined because it always had the legal right to do that which it was enjoined from doing. The Supreme Court’s decision declaring PASPA unconstitutional and the New Jersey 2014 law permitting the NJTHA to conduct sports betting at Monmouth Park conclusively establish this fact. As a matter of law, the point in time for determining whether the NJTHA was wrongfully enjoined is May 14, 2018, the date of the Supreme Court’s ultimate decision on the merits, not October 24, 2014, the date the injunction was issued. As a matter of law, whether this court was right or wrong when it enjoined the NJTHA is irrelevant to the question of whether the NJTHA was wrongfully enjoined. This battle for damages is expected to stretch well into 2019, even as Monmouth park and other New Jersey gambling facilities are coming up to speed with their fully legal sports-betting services.